It’s that time of year! 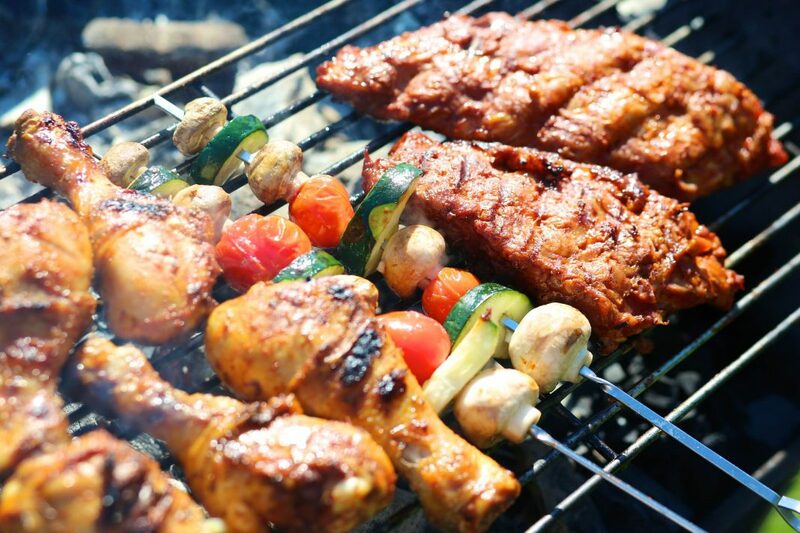 Summer Barbecue season is here and it’s time to fire up the grill!! But with so many choices of what to cook, it’s easy to get stuck in a hot dogs and hamburgers rut that don’t offer many nutrients. Here are some taste-bud blowing recipes that will make your mouth water, but are also packed with nutrients to fuel your body for summer fun! Find the largest zucchinis that you can. Slice longways down the middle and scoop out the largest seeds. Cook hamburger meat in skillet. Cook onions, garlic, peppers and mushrooms in another skillet and add 2 handfuls of spinach when it’s almost done cooking. Add hamburger meat to skillet once it is cooked and mix together. 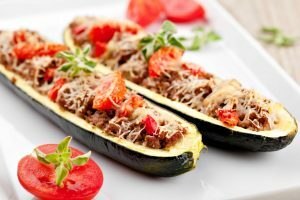 Fill zucchini boats with mixture and barbecue until the zucchinis are softened. Top with your favourite herbs and spices. Slice free range, organic (if possible) chicken breast into chunks fit for a kabob skewer. Keep them fairly small so they don’t take a lot longer to cook than the vegetables also on the grill. Slide the chunks onto the skewer and sprinkle with pepper. To other skewers, add a mixture of fresh mushrooms, cherry tomatoes, chunks of pepper, celery, zucchini, onion and pineapple. Add a very light brushing of extra virgin olive oil before they go on the grill to help them get a bit crispy. 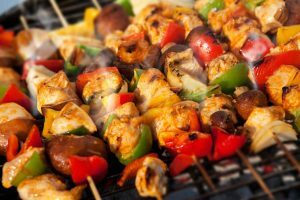 (I like to keep the meat and veggie skewers separate due to raw meat juice contamination, and they tend to cook at different speeds). #1 – Grill with the husk on – just throw it on the barbecue and turn it often. The result is more of a steamed corn and just a little grilled-ness. Should be cooked in 10-15 minutes, or when you feel that a knife easily pierces the kernels. #2 – Husk the Corn and then grill it. 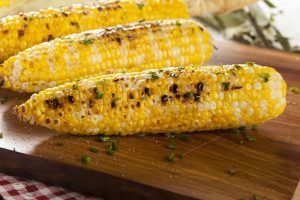 This creates a much more grilled effect, where the kernels become darkened and absorb more of the grilled flavour. Turn them often, and they are cooked in about 10 minutes. You can drizzle with a little bit of garlic butter and salt for added flavour. Or lime and hot sauce. Or your favourite topping! Grab your high speed blender and fill with 1 L of water. Cut the rind off of a lemon, leaving the white pith. Put the whole lemon into the blender and blend until smooth. 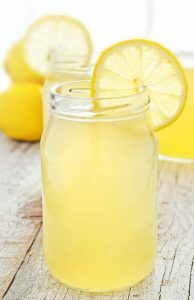 Strain the lemon-water mixture with tiny mesh strainer into a pitcher. This will catch the small pieces of seeds, etc that didn’t break down in the blender. You don’t need to add anything to sweeten it, it is not sour, just pure flavour! Serve over ice and enjoy!